Waterbar restaurant in San Francisco will celebrate the sustainable oyster on August 27 with a bayside party at their 3rd annual OysterFest to raise funds for the Surfrider Foundation. On Saturday, August 27 from noon to 3 p.m. join your friends at the Waterbar for the 3rd annual OysterFest filled with plenty of food and fun. Tickets cost $40 per person and get you unlimited oysters, Napa wines and craft beer. In addition, you can enjoy oyster shucking, oyster eating and hot sauce contests with special guest judge, Olympic Gold Medalist and Food Network host Brian Boitano. 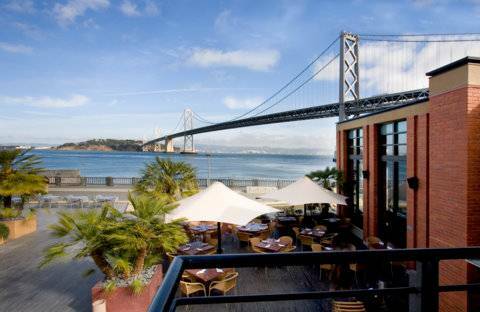 The event will take place on Waterbar’s bayside patio, which has spectacular views of the Bay Bridge, Treasure Island and the city skyline. Guests will also enjoy live music by a local jazz band Golden Gate hot Club. Waterbar is known for having the largest and most eclectic selection of oysters in San Francisco and at last year’s OysterFest, more than 6,000 oysters were served and $11,0000 was raised. Proceeds from ticket sales benefit Surfrider Foundation, an organization dedicated to protecting and enjoying the world’s oceans, waves and beaches. The Waterbar is located at 399 The Embarcadero South, San Francisco and tickets are available here.